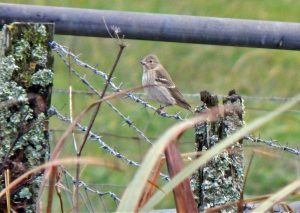 TIREE: 1CY Common Rosefinch new at Balephuil this am – at times hanging out with a Lesser Whitethroat, also 20 Common Redpoll and 1 Goldcrest there (John Bowler). 1CY Red-backed Shrike still at Heylipol Church, 1 Scaup plus 2 Coot new at Loch Bhasapol and Lesser Whitethroat still at the Glebe (Jim Dickson). MID-ARGYLL: 3 House Martins and 2 Swallows today at Braevallich, Loch Awe (Alan Dykes). 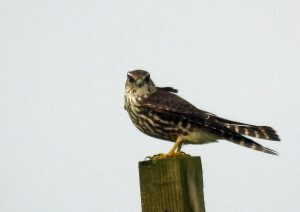 MERLIN – The Green, Tiree 3rd Oct (Jim Dickson). 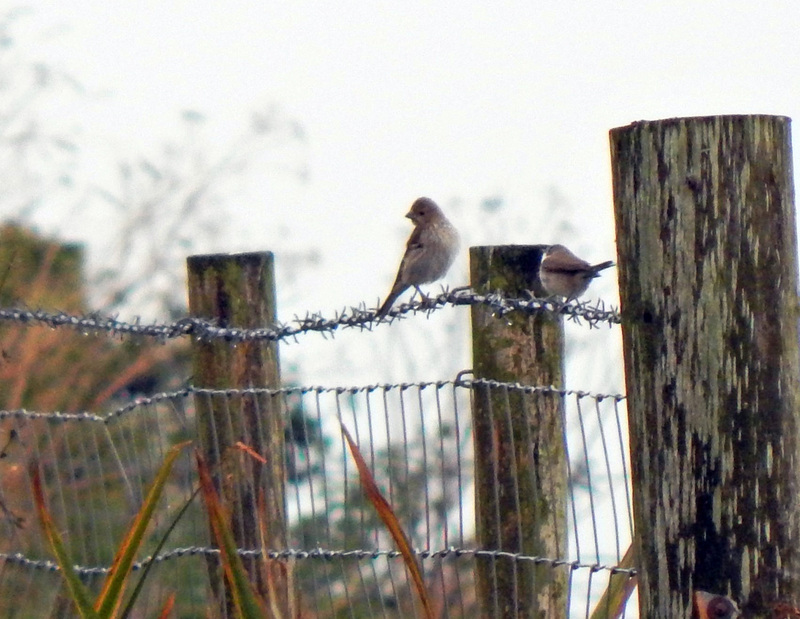 COMMON ROSEFINCH with LESSER WHITETHROAT -Balephuil, Tiree 3rd Oct (John Bowler). 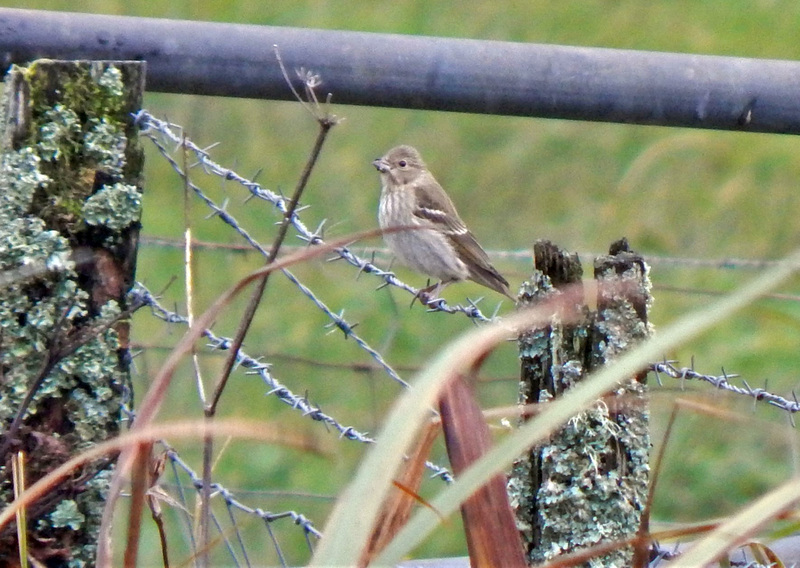 COMMON ROSEFINCH -Balephuil, Tiree 3rd Oct (John Bowler).